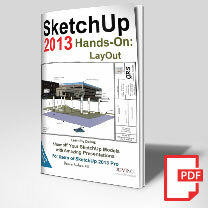 For SketchUp 2013 Pro users: your comprehensive guide to LayOut! 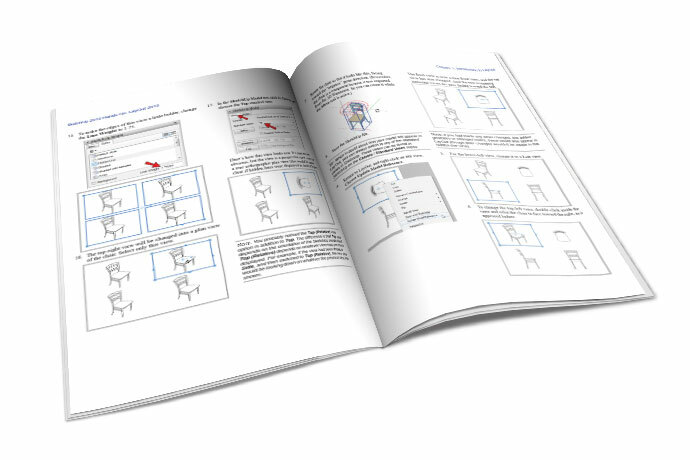 This 176-page book will take you from start to finish with LayOut 3. 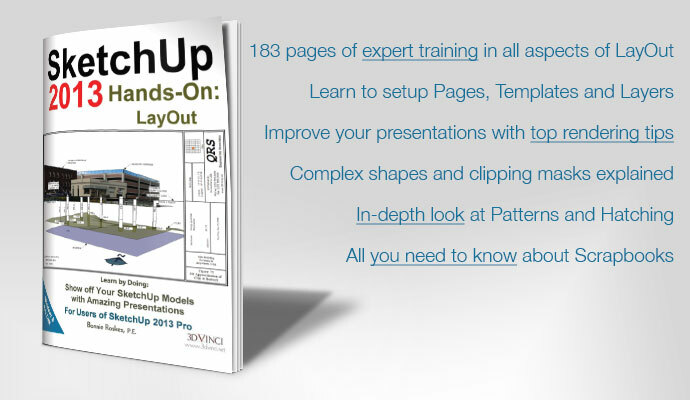 Detailed, step-by-step exercises will guide you every step of the way, from exporting your model into a presentation, to working with scenes, layers and styles, creating templates, clipping objects, drawing shapes, creating text and labels, adding hatches and patterns, working with scrapbooks, and creating streamlined standard presentations. Click to see what's in the book.